ATLANTA — Cobb County Police shot and killed a man they say was naked and armed with several weapons. Watch a report from WSB TV Channel 2 in Atlanta. State-run Georgia media, following standard protocol, have reported a “prior arrest” of Mr. Nhekairo, which they use to justify summary executions for their blood-thirsty American audience. The state of Georgia says Mr. Nhekairo “broke the law” previously because he was in the possession of cannabis plants known to treat glaucoma, cancer, depression and many other human ailments. It is unclear how Mr. Nhekairo’s possession of cannabis in February is connected to him being summarily executed by Cobb County Police last night. Mr. Nhekairo’s parents want to hear the 911 tape themselves, as they do not believe the story the people who killed their son are telling. Cobb County Police first said Mr. Nhekairo had “several weapons,” then changed their statement and specifically said knives. The incentive for police to kill in America is far too great. If what police say is true, diffusion of the situation could have easily been done non-lethally. But police know that weeks (and sometimes months) long paid vacations can easily be obtained simply by killing Americans and taking a little grief in media. There is a candlelight vigil being held at Campbell High School, where Mr. Nhekairo would have graduated from, as this moment. We will update this story if/when we learn more. Our thoughts are with the Nhekairo family. I knew tendai, he was a good person. Clearly he was in need of help. He was a friend of mine. Tendai didn’t deserve this. The cops didn’t have to shoot and kill him! He’s a boy with knifes facing a group of cops with guns the police had control of that situation. They could have handled it differently. I’m not going to bring up race or anything like that because at the end of the day nothing matters but that he’s gone. And another disgusting pig is getting away with murder. first of all I live in cobb county and have been arrested for marijuana possession twice so I know these cops want nothing more than an adrenaline rush. I was in the process of putting my car in park when the cobb county police man dragged me out of my car and threw me on the street because he thought I was going to run.secondly police are trained specifically to keep your distance with someone with a knife and subdue the suspect without lethal force. pepper spray or a taser. him being naked should have been the first clue that poor kid wasn’t in his right mind. the other day i was shopping at the supermarket and i saw a cobb county police man with his hand on his gun like hes ready to shoot. these police man specifically cobb county police man want to live there life in an action movie.I always respect the police and treat them with curtsey even when they treat me like im the worst person alive because god knows some of them actually want to make this world a safer environment and some have good hearts but in the areas where crime is low(most)cobb police love to make criminals out of people. Its sad to see a loving family loose their son but its even sadder that they cant even get an explanation.I bet the poor child’s mother cant even sleep at knight knowing the man who took her child’s life didn’t have to. Am I reading the same article all you drones are? Where in the article is race mentioned? I guess you all are fishing for something that isn’t there for your own fantasies, when a young man was senselessly killed by trigger-happy cops. 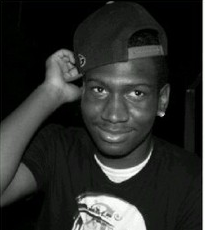 RIP Tendai! The HUMAN race sends our prayers to your family. You guys are rediculous…He was not idientified until after he was gunned down. The police had no prior knowledge of the young man when he was killed. It had NOTHING to do with race…it is people like you that make America turn upside when trying to justify different cases as racial issies. Stop MAKING IT ABOUT THAT! Best response posted so far. My hope in humanity is restored. I do not understand the Police in America and black kids. Why do they hate black kids so much. What have these little kids done to them. A teasor could have subdued the young man who was obviously not in his right state of mind. He could have been depressed, who knows. Are black kids being killed for prior marijuana possessions. This is mind buffling. I am so glad I do not live in America and is scared to visit America because I am black. In a short space of time Trayvon Martin was murdered ruthlessly by a guy and the police rewarded him by being the judge and jury and declaring him innocent, now Tendai Nhekairo was gunned down by Police who also decided to be the judge and jury and executor! I we seeing a trend here? Some questions for the author as well as the others posting comments here. 1. Are you sure that the officer(s) involved were not black? 2. Were you there? (You hop out of your squad car and out of nowhere you see someone coming at you with TWO knives. “Hang on a second there, friend while I grab my stun gun.) I don’t think so. 3. Do you really think there is some kind of conspiracy? White cops killing black kids? I am sorry there are those out there that lead you to believe this. America is truly a GREAT place. There is so much opportunity for ALL. You need to realize this and stop wasting your time on websites that promote animosity between groups of people. I have been white almost my entire life and truly no not one other white person that you might call a racist. On the other hand, I come to websites like this and I see resentment and hate all over. Please, for your own sake, WAKE UP!!! @ u namtah, i agree with what you are saying to some extend. its true that Black people are quick to identify any tragic incident like this as a racial case. But have you ever thought about what happens if a Black man is killed by a cop specifically in America. all the cases that i have come across the cop always gets paid leave, or is put to administrative work what ever that is, in simple terms – i am trying to say that the American law don’t punish offenders when it comes to cops killing someone. but to some extend as well if the victim is a white kid, it will be a different case alltogether – not only that investigations would be conducted faster, but the perpetrator will definitely be punished. i think there is a silence policy in America put in place to maintain a certain number of Blacks living in america, and the best way to kill a race is to kill their offsprings. To be frank, as long as i am still Black i will never set foot in America, because i would just be added to the statistics. Seriously? Are you kidding me? America is one of the safest nations in the world and the only reason people continuously play the race card is because they have no facts to back up their argument.